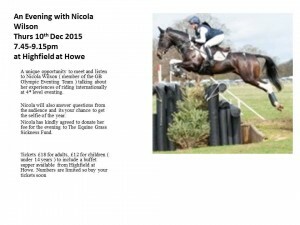 An evening with Nicola Wilson, Thursday 10th December 2015, 7.45-9.15 at Highfield at Howe, Ladybank, Fife. 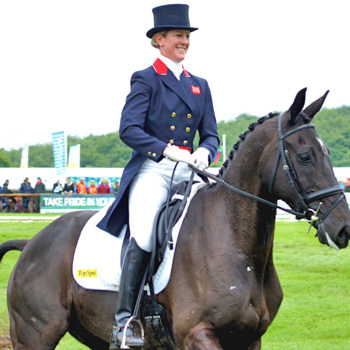 A unique opportunity to meet and listen to Olympian Eventer Nicola Wilson talking about her experiences of 4* international eventing. 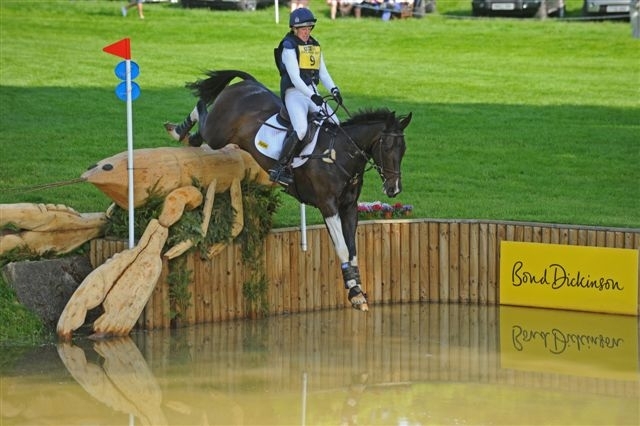 Nicola will also answer questions and this is your chance to get your selfie of the year! Nicola has generously offered to donate her fee for the evening to the Equine Grass Sickness Fund. Tickets £18 adults, £12 children (under 14 years) to include a buffet supper available from Highfield at Howe. Numbers are limited so buy your tickets soon.